Terralsole came to Big Max’s Studio in 2017. They had been trying to design their website in-house that truly represented their winery with no luck. The wines from Terralsole have rankings from the major wine critics in the mid to high nineties and their website did not represent that. 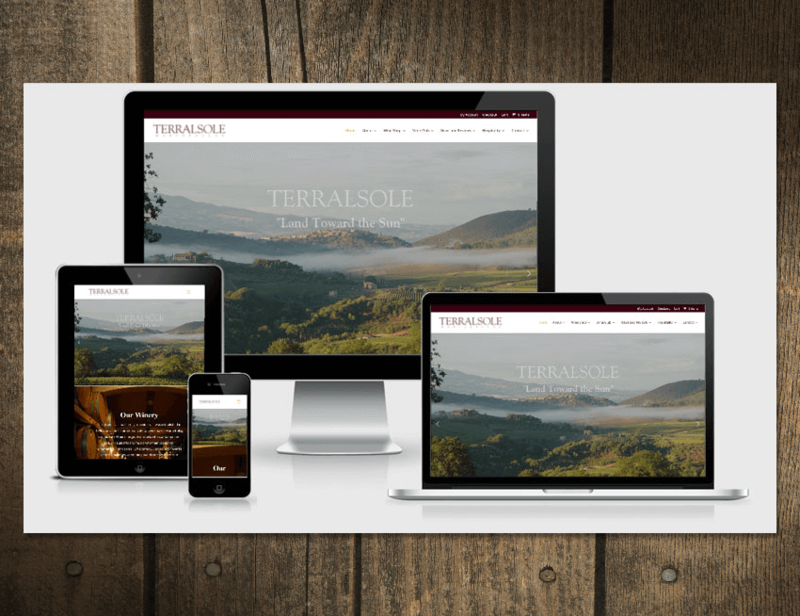 Terralsole had been trying to get a wine club up and running, as well as selling individual bottles of wine on the website. Further, they also have a villa and studio apartment you can rent on the property. They had tried third-party website solutions with no luck either.